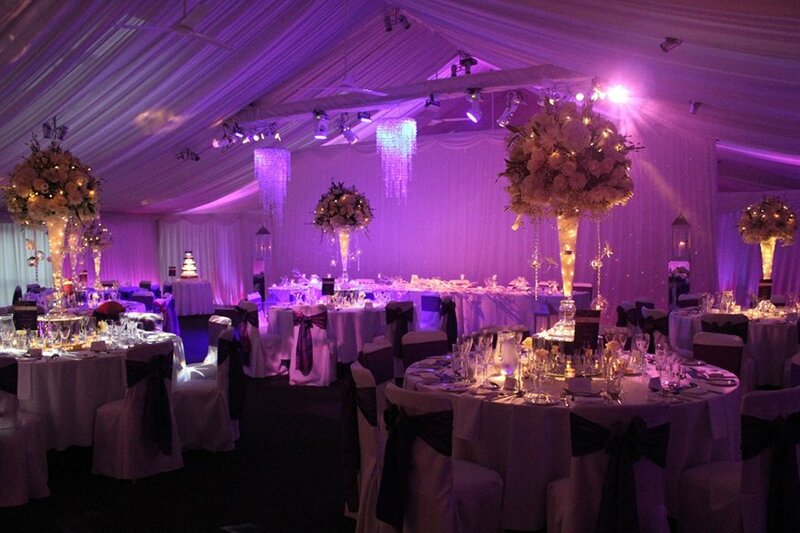 Don’t miss some of the finest wedding venues in the north of the country! Welcome to The North! With historic towns, charming villages and dramatic countryside, this part of the country has plenty to offer. If you’re looking for the perfect wedding venue in this beautiful part of the world, then you’ll love this blog post! Read on to see if you can find your dream venue today. 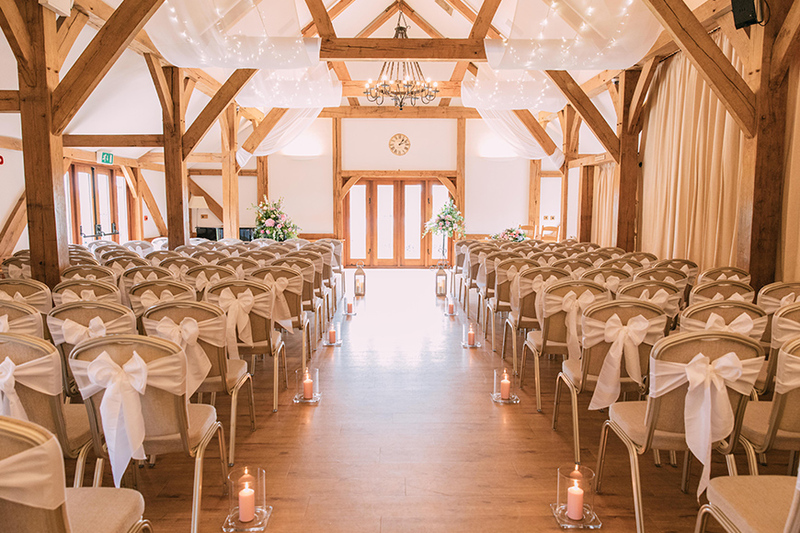 Set on the banks of a private lake and surrounded by fields and greenery, it’s safe to say that Sandhole Oak Barn is one of the prettiest venues around! The inviting barn provides a relaxed setting for every aspect of your day, and you can even say exchange your vows under the Clock Tower with the lake as your backdrop for something truly unique. 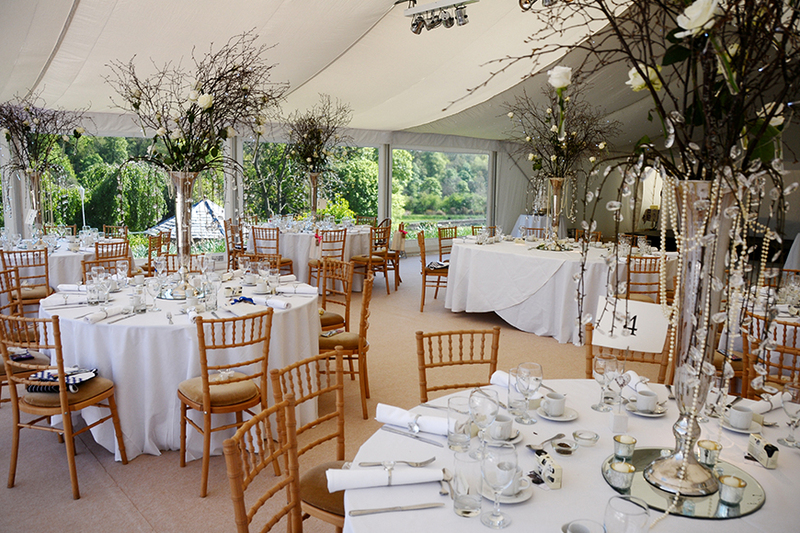 And speaking of unique, we guarantee you won’t have seen anything like the ceremony setting at Combermere Abbey. 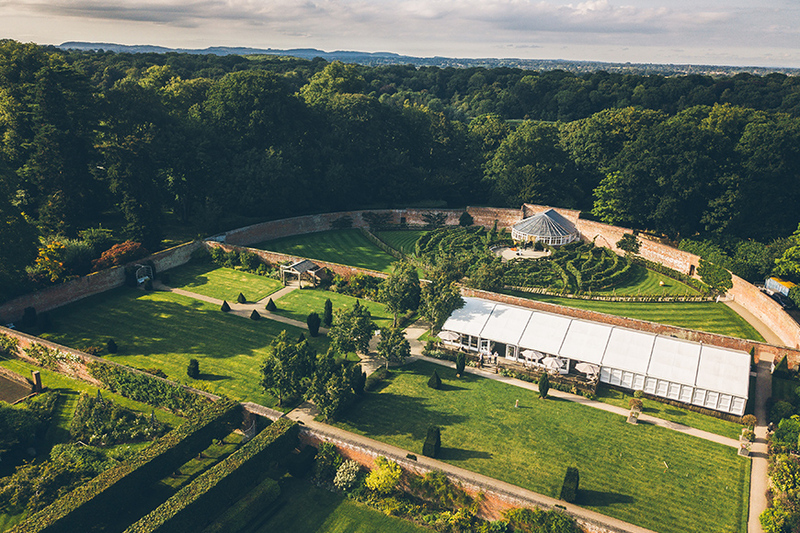 Hidden away in the beautiful walled gardens, this picturesque Cheshire wedding venue is home to an incredible fruit tree maze, with the circular Glasshouse at its heart. The contemporary Pavilion is the perfect place to celebrate afterwards. If your perfect wedding means an escape to the country, then Gisburne Park Estate is for you. Tucked away in a thousand acres of rolling countryside and sat next to the River Ribble, you can make this marquee and impressive house your own. 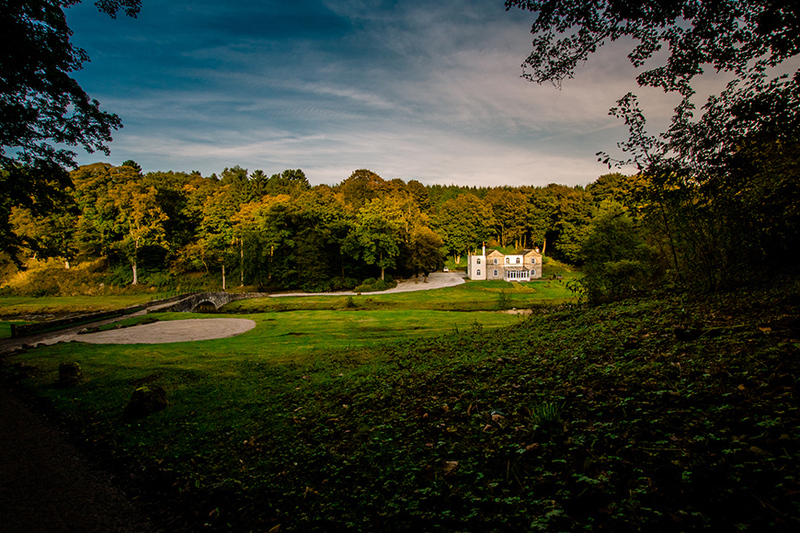 Enjoy a day full of privacy, peace and natural beauty in this stunning Lancashire wedding venue. 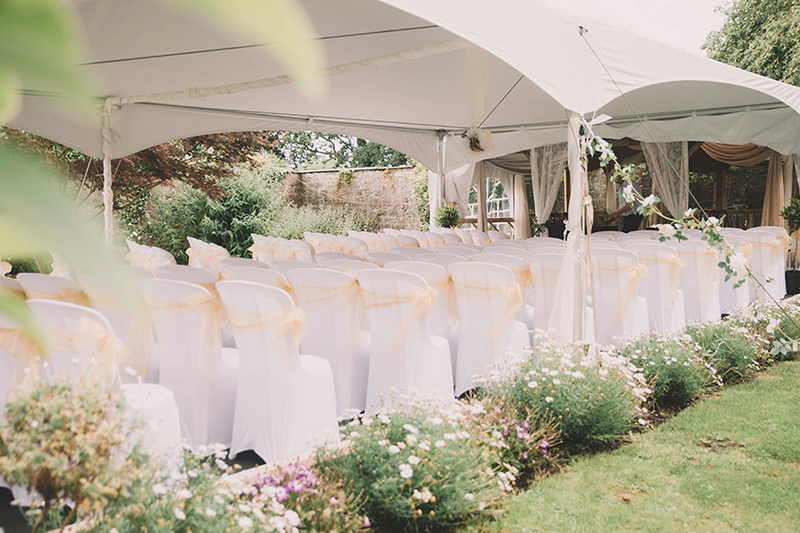 Pretty sandstone barns, picturesque gardens and incredible views make Heaton House an incredible venue, just minutes from the Peak District. Tie the knot under the oak beams of the Entrance Barn and hold a reception to remember in the Wedding Barn, where ivory drapes and impressive lighting will create a truly delightful setting! This quintessentially English house offers a choice of ceremony options, luxurious accommodation and plenty more to make your day special. 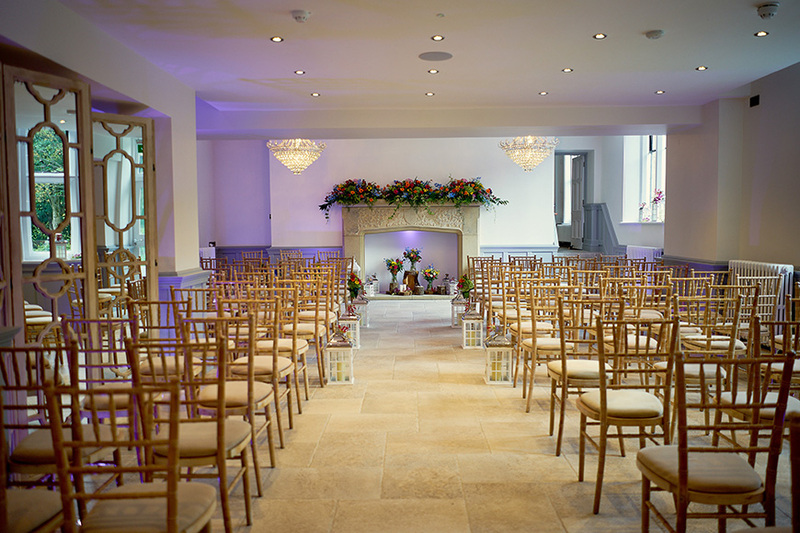 Say ‘I do’ in the exquisite Reading Room or embrace your surroundings with a ceremony in the Fernery, and hold an unforgettable evening reception in the grand ballroom. 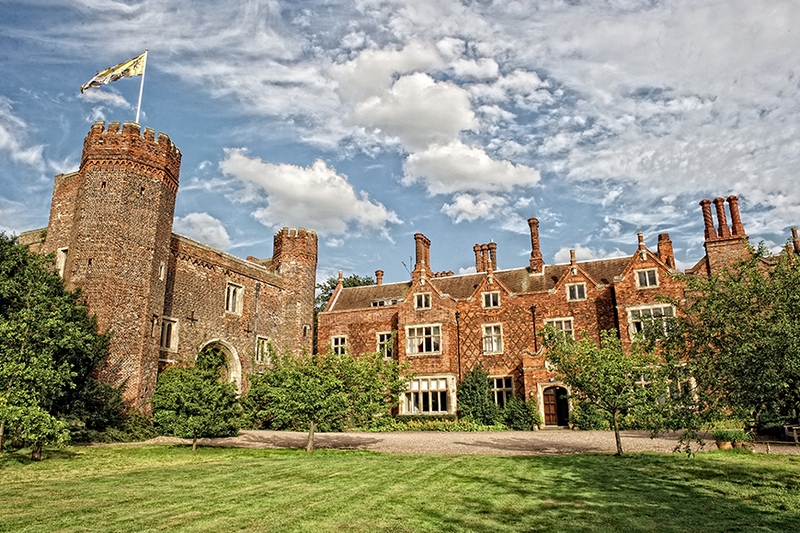 Eshott Hall has everything you could wish for! This award-winning Yorkshire wedding venue offers a delightful mix of traditional and contemporary, so your wedding at Hodsock Priory will come with plenty of style. 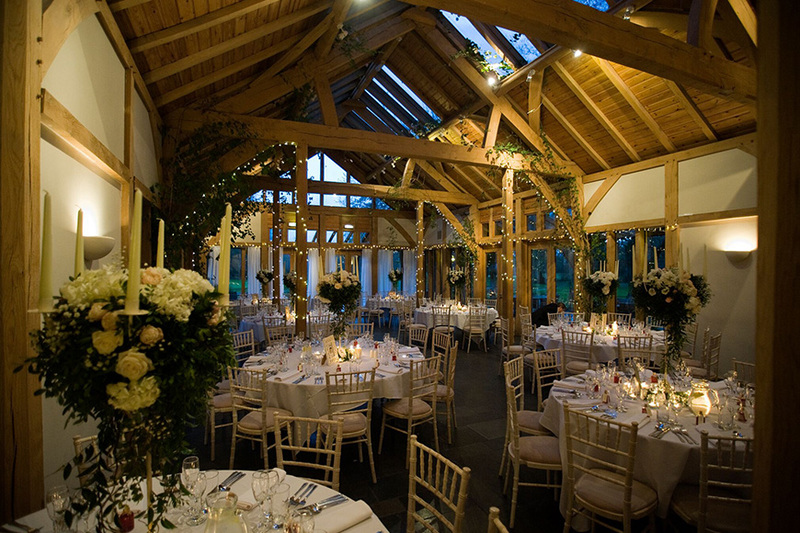 Exchange your vows in the stately Panelled Hall before celebrating in the opulent Pavilion. Don't miss the magical carpet of snowdrops and daffodils in spring too! Low House is a real Cumbrian gem, with a tranquil setting and a traditional setting that’s really hard to beat. Whether you’re looking for an intimate celebration or something more grand, this exclusive-use venue is a fantastic choice. With the rolling Welsh countryside all around you and magnificent house full of authentic features combined with contemporary style, Tyn Dwr Hall is a place where old meets new in the most spectacular fashion. Enjoy the house’s rich history as you make your own before you and your guests retire to the most unbelievable bedrooms. The Oak Tree is everything you imagine a country barn wedding venue to be. Exposed beams, neutral walls and floor-to-ceiling glass windows create a beautiful setting for your ceremony and reception that’s full of natural light. The lawn and lake provide an idyllic space to enjoy with your guests and the whole venue has a delightful feeling of seclusion and privacy that’s perfect for an intimate wedding. 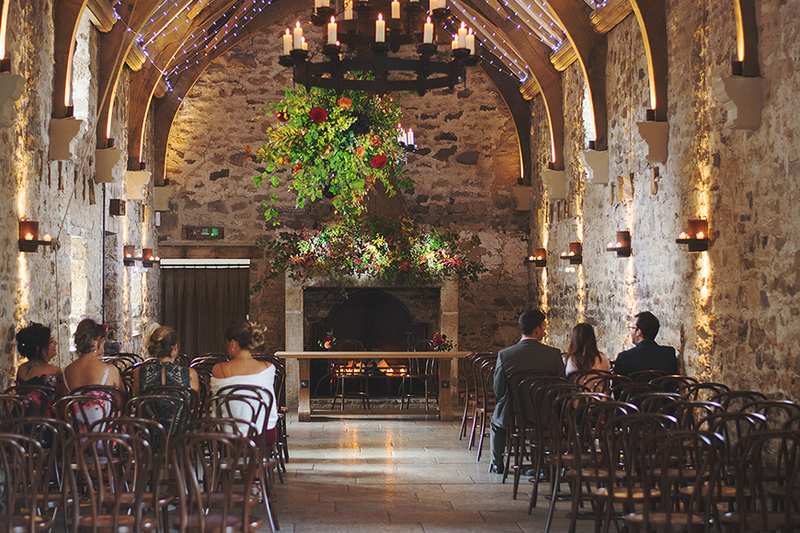 The beautiful Healey Barn is one of Northumberland’s finest, and it’s easy to see why! Authentic on the outside yet thoroughly contemporised inside, you’ll find a relaxing and atmospheric space that exclusively yours and feels miles away from anywhere. 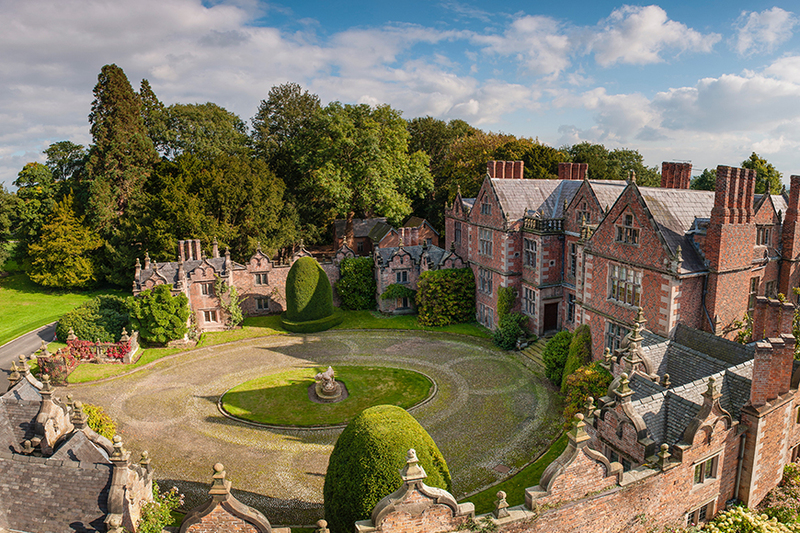 With a grand, traditional style and impressive gardens all around, this Cheshire wedding venue is a wonderful place to exchange your vows. The enchanting Sperry Tent is the perfect spot for your evening reception while the hall holds an Old English charm that is second to none. Set in the foothills of the Clwydian range, Pentre Mawr is a beautiful country house surrounded by 200 acres of parkland, woods and meadows. The grounds hold an exquisite walled garden that provides an amazing backdrop for photos, and spacious lawns to enjoy with your guests. Still searching for the perfect place to hold your special day? 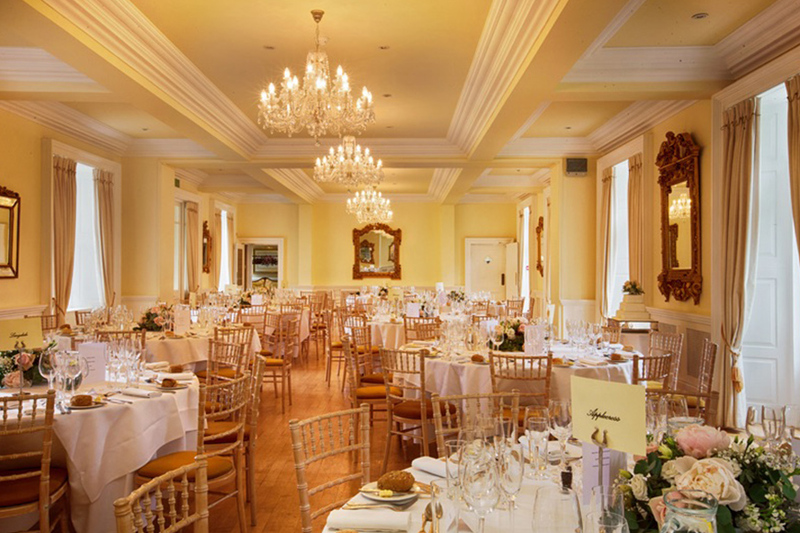 Then take a look at all of our exclusive use wedding venues and find ‘the one’ today!